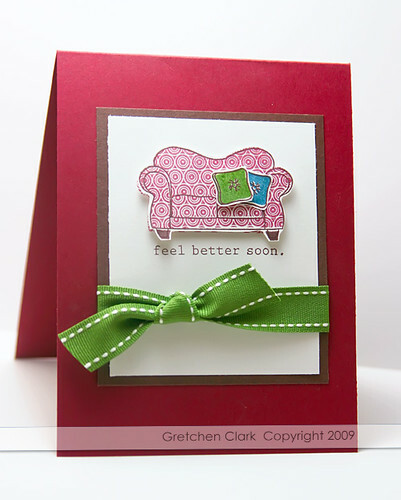 Here is a card I made for my mom, she just had surgery and I wanted to send her a little get well card...luckily I had my new stamp sets~I used On My Couch and the new PTI Perfect Match color Scarlett Jewel. Since I enjoy paper piecing...I think I will use this set a LOT!!! It comes with some really cute sentiments too. Update...Everyday Button Bits is back in stock over at Papertrey Ink!!! Hurry up and order one~such a great set!! 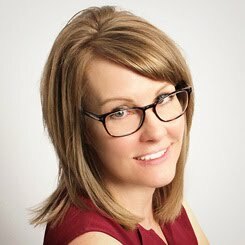 love your clean and simple look - you totally do something different with the style that I can't even describe! love it!